It's been SLOW here. Saw my first group of divers this morning. Black Cloud got wicked nasty on these woodies at close range. I think one of the drakes was killed by the wadding. 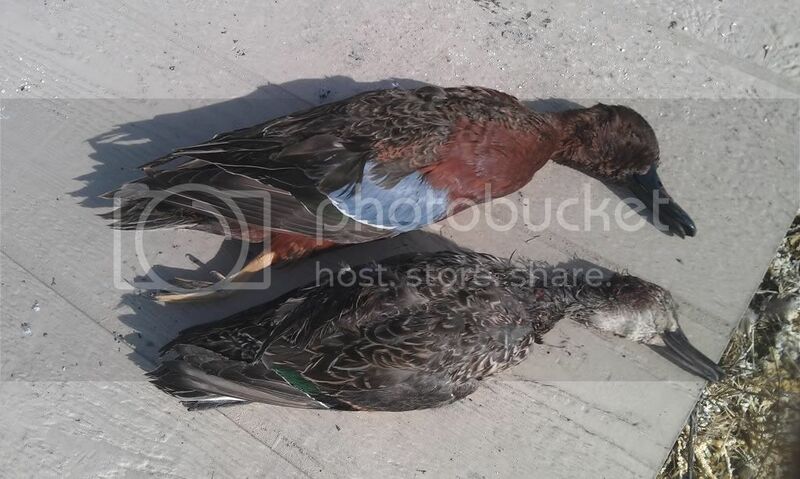 Was one of my worsts year in Wis....Tons of mallards around, but she closed today.......Dagnamit!! Ya where is he ? Our rice has really just started, so I expect the next 45+ days could be more productive! 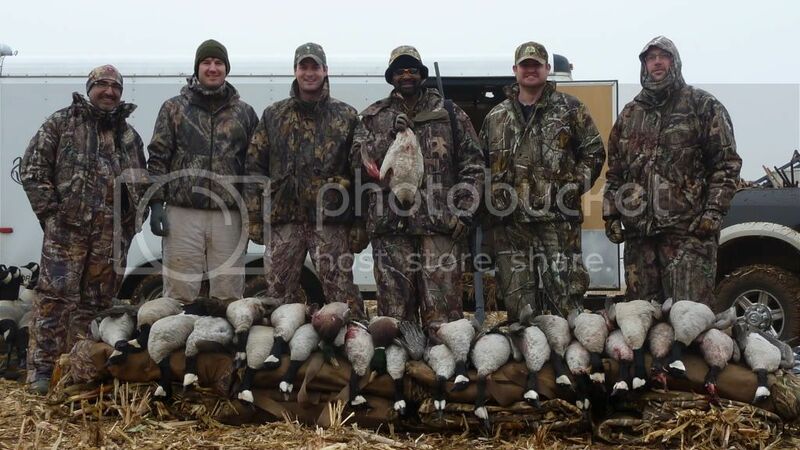 Randy, nice looking birds you have there..
mudhen, glad to finally see some pictures from you this season. 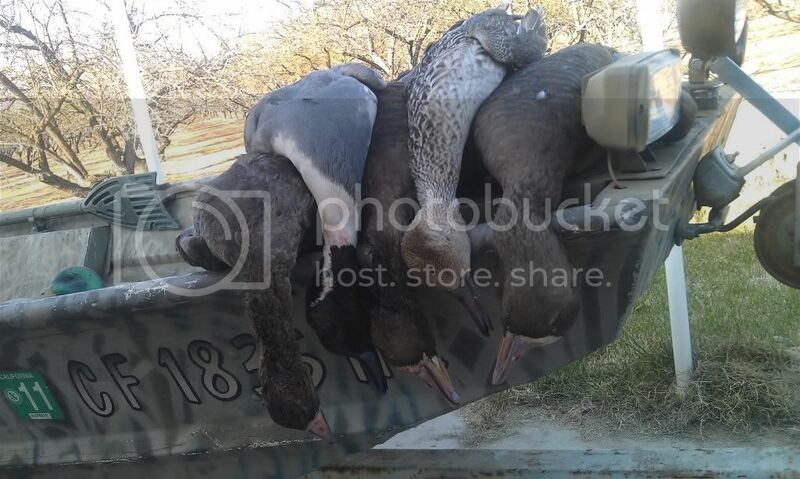 This year I've been invited to hunt a CWA blind that sits in the rice just north of the Sac Airport and now I see why you do so well when it comes to putting birds down.. 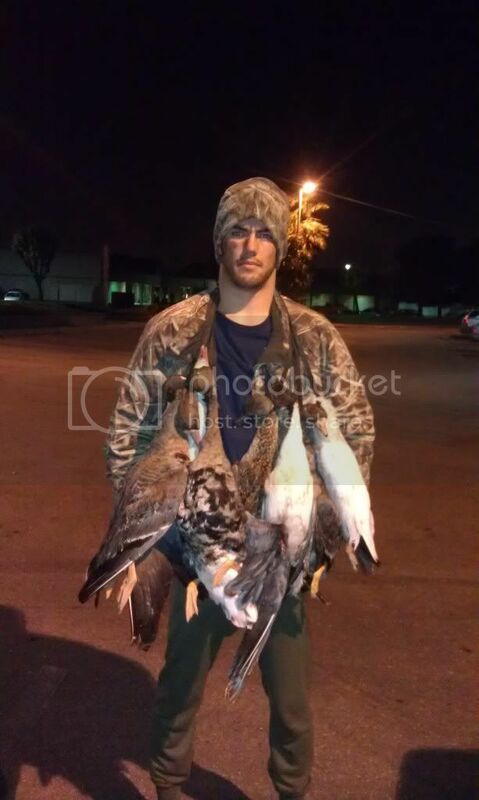 I called in over 1,500 specks that dropped in feet down right into my spread so let's just say we had a decent shoot. Good luck with the rest of the season. 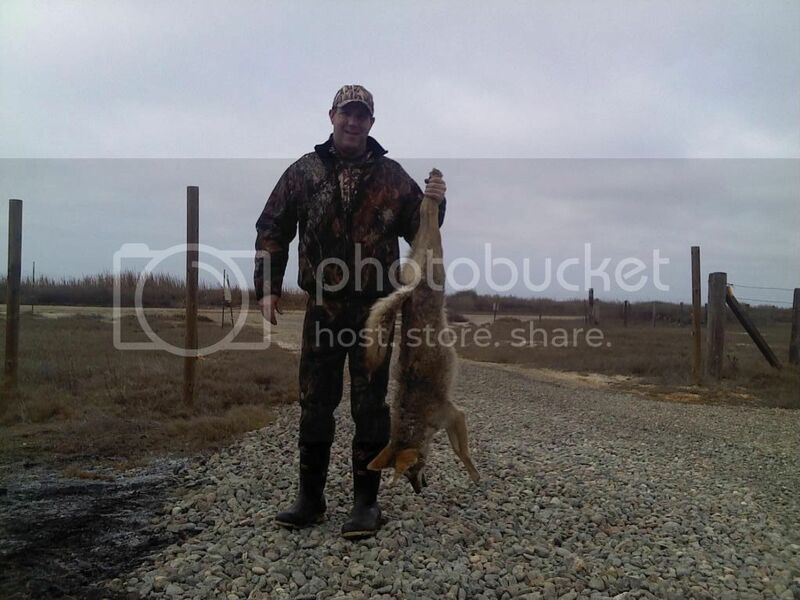 If the ducks aren't going to fly due to the LACK of weather, we're just going to have to start shooting coyotes..
Where are the ducks at this year because they're not here in Cali.. I hunted until noon this morning firing only 3 shots. And with the ten day forecast showing no sign of rain, hunting the grasslands is almost a waste of time. 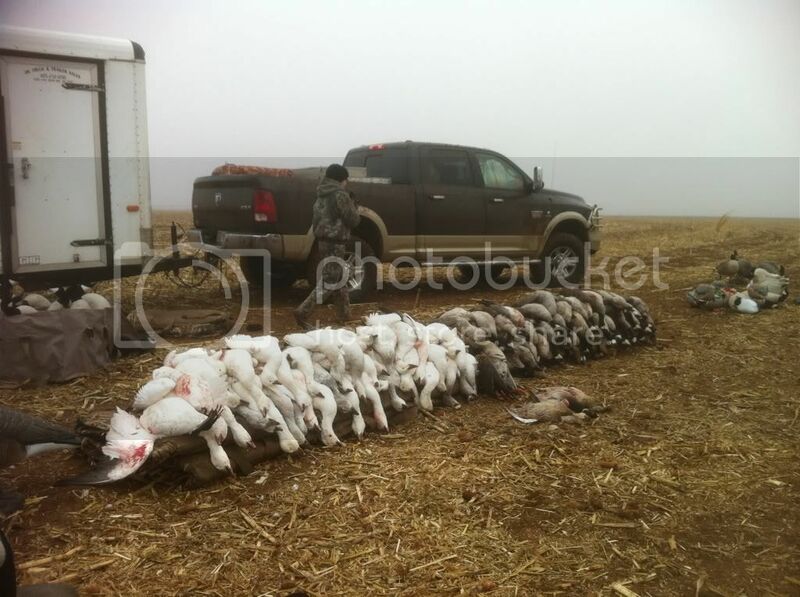 I'd give up my last 3 goose hunts (pics posted above) to harvest that cinni!!!! Nicely done! I'd make that trade any day! If you ever get a chance to make it over here to California, let me know. I've pulled more than a few limits of cinnamon's out in years past. I usually let them land though to allow the Mallards to work in but that didn't happen yesterday.. It looks like you really got into the birds this year Randy, nice work. That would be a dream hunt for me right there.